New year, new Chalkboard page. 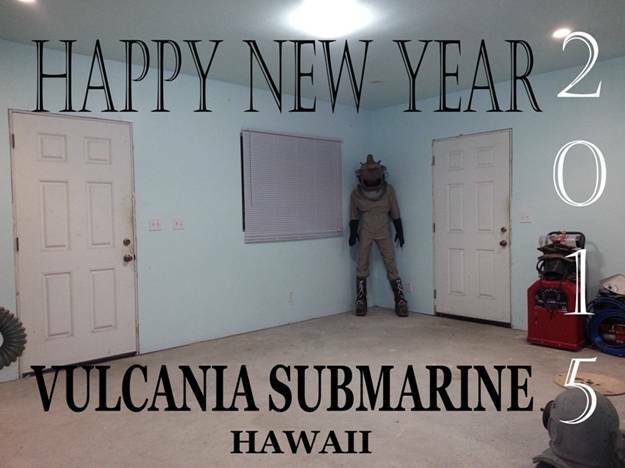 Here's where you'll find the latest news about the ongoing projects of Vulcania Submarine: new book VULCANIUM II; new Nemo IV and Diver II helmets; modifications to the Nautilus Minisub; and dive operations involving authentic and replica 20K diving gear here in Hawaii are among the small-kine projects you might see mentioned here at VSC this year. As before, the LATEST WEBSITE UPDATE can be accessed by the dated hyperlink toward the top of our home page. 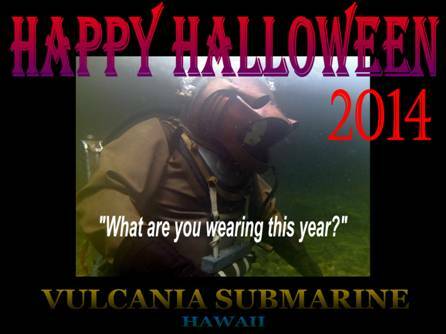 If that date hasn't changed since the last time you visited, there's nothing new at VulcaniaSubmarine.Com. 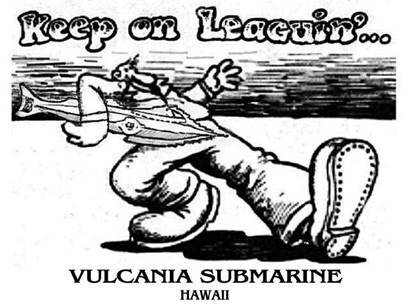 It's no secret: I originally wrote my prequel to Leagues as Vulcania intending to offer it to Disney. I wanted to publish it as a book they might adapt but didn't want to infringe, so I made changes and published it last year as Vulcanium. Bottom line: it's back on as a screenplay intended for Disney. 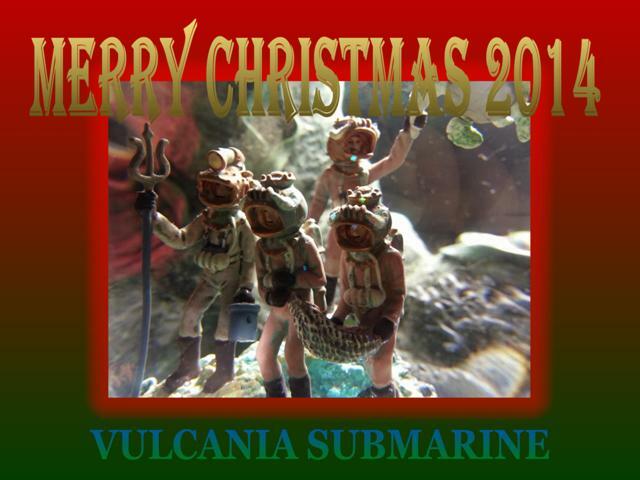 Here's the old graphic I made for VULCANIA last year. Glad I didn't delete it! 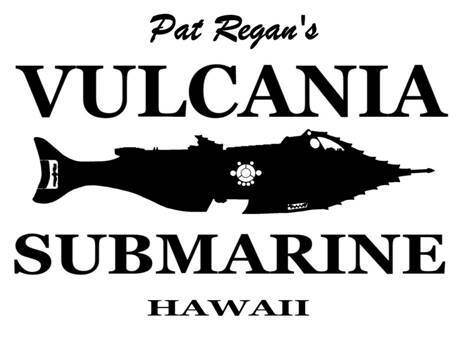 VulcaniaSubmarine.Com maintains pages honoring the Disney Stunt Divers who participated in 20,000 Leagues Under the Sea. We've kept an Honor Roll listing every diver we've been able to identify by name; in many instances we've been able to connect those names to faces for the historical record. We've been researching the subject continually for at least the past 13 years; asking everyone from Corporate Disney to online historians. We've been able to visually identify seven divers so far but in all this time nobody has been able to positively identify the diver who played perhaps the most important underwater role of all: Captain Nemo. Captain Nemo Stunt Diver; Lyford Cay, Bahamas, 1954. Ladies and Gentlemen, that quest ended two days ago. 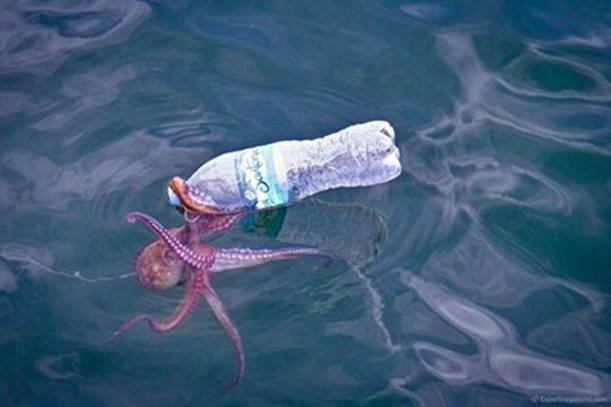 I know who this diver is. I am in contact with his family and we are presently working together to tell his story online and elsewhere. HAPPY 85th BIRTHDAY, BILL STROPAHL!! Bill Stropahl is one of only two surviving Disney Stunt Divers to work in the underwater scenes for 20,000 Leagues Under the Sea. His picture on the front of LIFE Magazine back in February 1954 inspired many of us and is a large part of the reason why this website exists and I've done the work I've done. Today Bill turns 85 so I just want to wish him a Happy Birthday and a million more. Bill, Pat, and Gale at the Stropahl residence in California, 2013. VSC MOVING TO NEW SERVER... MAYBE. 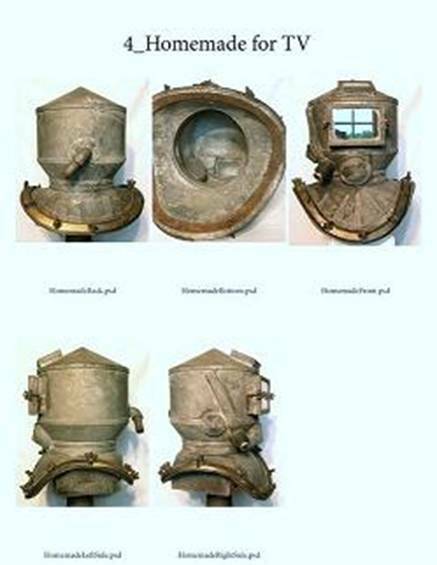 VulcaniaSubmarine.Com has been online with ADDR.Com since 2001; in that time we have only had a few problems, Customer Service solved those quickly, and we haven't had a reason to contact them in more than 5 years. Now, we have a problem. My website email is unreliable; apparently comes through if the submitting computer is online via Internet Explorer but not Chrome. I've been trying to contact ADDR without success. Checking the situation online I see many people are having similar problems and there is doubt as to whether ADDR.Com will be in business much longer. At this time I am unsure of the situation but if it doesn't resolve itself soon VSC will be moving to a new online server. 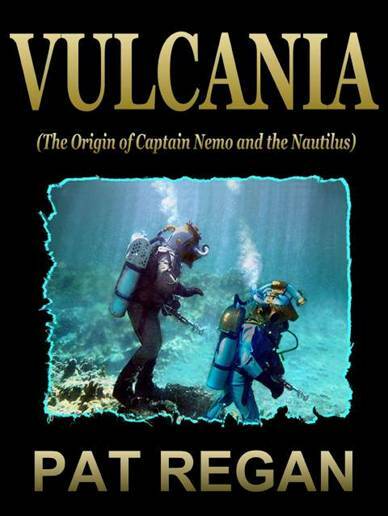 The screenplay for VULCANIA (The Origin of Captain Nemo and the Nautilus) is complete (118 minutes) and on disk. In a media-manufactured world where everyone is representing himself as an "expert" or an "authority" these days; Leon Lyons is one of those very few who actually deserves the international recognition he enjoys as one of the World's leading authorities on deep sea diving equipment. His book HELMETS OF THE DEEP has been the helmet collector's "bible" since the 1980's. In the past couple years we've been following Leon's progress publishing the new and improved, bigger and better HELMETS OF THE DEEP RETURNS. The project has gone through some difficulties but is once again proceeding towards publication. Along the way Leon has battled cancer and been hamstrung by workers who weren't really all that dedicated. But I heard from him yesterday and he's got it back underway with a new production team at the helm. The pics I've seen so far look great and we are all looking forward to the new HOTDR. 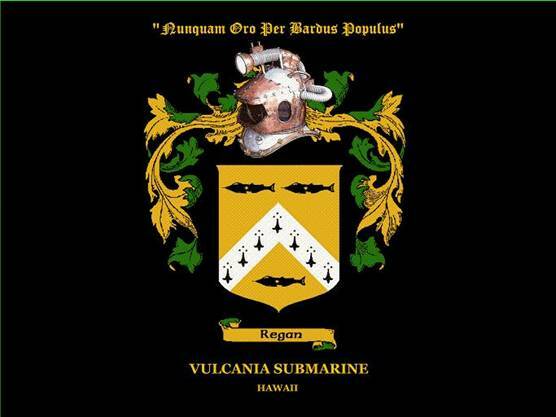 I published my novel, VULCANIUM (The Secret of Captain Nemo and the Nautilus) in 2013. 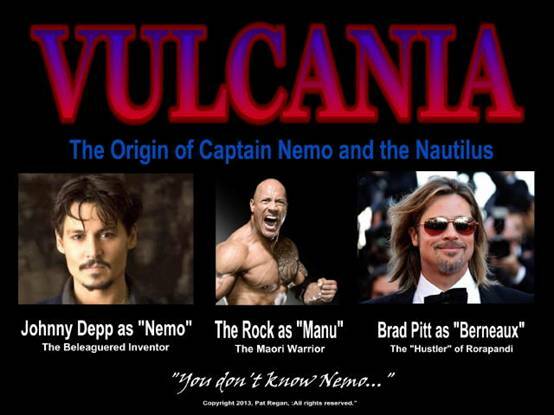 Since then I've adapted my book into a 2-part screenplay intended for Disney entitled VULCANIA. 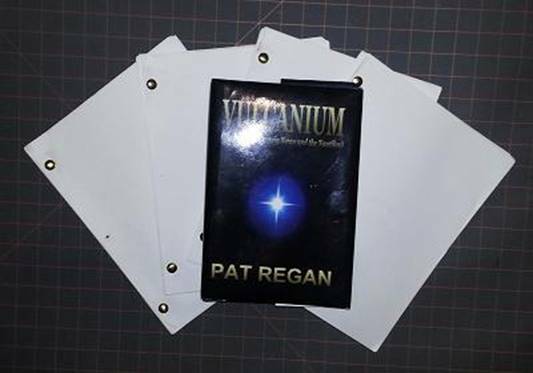 I have also produced a 2-part screenplay entitled VULCANIUM (more in synch with the novel and without the Disney modifications) which could be filmed by any other producer using alternative designs for the sets and props. Reproduction in any form without written permission is strictly prohibited.